My favorite movie of all time is Rushmore, from writer/director Wes Anderson (with a co-scripting assist by Owen Wilson). It’s brilliant and basically perfect. 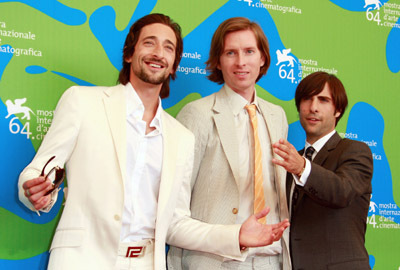 Anderson’s other films are Bottle Rocket, The Royal Tenenbaums and The Life Aquatic with Steve Zissou. Those are pretty brilliant, too. … and now he’s back on the small screen with some new commercials for AT&T. You can watch them right here. And just in case you think he’s not making movies anymore, The Darjeeling Limited — starring Owen Wilson, Jason Schwartzman and Adrien Brody — is out later this year! Lauren Graham signs massive NBC deal!